I haven't posted anything in over a year so I thought it should be time to post something again. I will post what are in my opinion the top 5 greatest video games. Remember, these are of time of posting so they may change. I will limit myself by only choosing 1 entry per franchise. This makes it so that the list isn't filled with games from one franchise. This for me a great FPS. It has all the elements of what makes a game great. It looks good, solid game-play, and an interesting story. The story follows Matt Baker as he fights his way across the Netherlands trying to cope with what happened in France and of course his more recent losses. With rumors of a cursed gun, you can feel Matt Bakers pain as you slowly see him try and retain sanity. Although not as popular as the Call of Duty franchise, this gives a lot more personal look at warfare. Compared to Call of Duty-World at War, which came out at about the same time, it exceeds it in every way. Instead of impersonal openings to levels where war statistics are being thrown at you, you get a great story which only follows one get man. You get a greater sense of how horrible war can be because you see a person live through it. The game-play is also better in my opinion because it isn't as fast passed and hectic as in CoD-WaW. It is slower paced and you need a bit more tactics to kill the enemy. When it comes to graphics, both are probably on even footing when it comes to quality, though stylistically BiA is better. This game is an all around good game and worth to play. A good story and game-play makes this a fun game . It is very difficult to make a top 5 list on games and not include a GTA title. I have spent many hours in this game and even 8 years later, it is still a game which can be played and enjoyed. The graphics are dated yet this does not take away from the fun. It follows the traditional GTA story line where the main character starts at the bottom and slowly working to the top. In this GTA, the main character CJ comes home and finds out that the gang, which is run by his brother and friends, is a shadow of its former glory. CJ embarks to bring his gang back on top. Through his journey, he is accompanied by his brother, his sister and boyfriend, and gets help from such characters as Woozie, The Ttruth, and a secret agent named Mike Toreno through three parodies of famous US cities. He also needs to appease a crooked cop named Tenpenny who wants to frame him for killing a cop. It has a good game-play and the third person shooting is executed nicely. Vehicle controls are good and flying is easier compared to open world games these days. There are many things to be found and new things will be discovered every play-through. I cannot put a GTA game here without mentioning the radio stations. My favorite would have to be K-DST. The radio DJ's have great personality and the talk radio show is side splitting funny. CJ's journeys bring him through the San Fiero, and Las Venturas, cities based on Los Angeles, San Francisco, and Las Vegas. Each location has its own personality and you can immediately know where you are located. 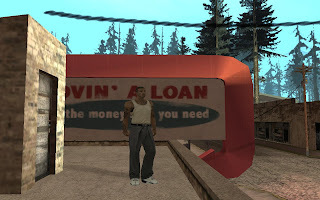 For making a detailed world where you can explore all you want, this makes GTA SA a great game and a worthy 4th place on this list. This game is different from the rest because it is the only one which does not have a story line. This is however still a great game. Here you specific goals you must accomplish in different parks. You have a large selection of rides and stalls you can build all nestled between beautiful scenery. There are financial goals where your park must have a special value, and maybe repay that loan you owe. Others want you to have a specific number of guests before a designated amount of time and others just want you to build great coasters. It is the successor of Roller Coaster Tycoon and the predecessor of Roller Coaster Tycoon 3. Although many people have stated that they prefer the first, the extras they added to RCT 2 make it an all round better game for me. This is one of the greatest games ever made and the best open world game in my opinion. There is so much content in this game that it is baffling. The game follows you, as you travel though Skyrim as you try and stop the awakening of the dragons, which it was prophesied to bring the end of the world. You discover that you are what is called a dragonborn as you can absorb the souls of dragons and learn their shouts without training. Through your journey, there are groups trying to help you, and to try and stop you. You will discover factions from other games, such as the Thieved Guild, The Blades, The Dark Brotherhood, and Imperial Soldiers, and come across some new ones such as The Companions, The Stormcloaks, The Greybeards, The College of Winterhold, and The Altmer Dominion. There are too many story lines to really talk about so I suggest you go and experience it yourself. The world is beautiful and incredibly deep. Due to the perk system and the different races, you can play this game almost anyway you like. It is amazing at how this game can be played. What is a bit sad it that the attribute system from Oblivion is gone. It was great that you could choose to add points to certain attributes that make you stronger in different areas. The leveling system is also fixed so you won't see bandits with glass or ebony armor. Though there are bugs in the game, the depth of the game makes up for it. Game-play is very solid and Bethesda really did a good job of making it better. The ability to duel wield and equipping spells makes being a mage much more fun. The beauty and depth of Skyrim with some nice improvements on the game-play from Oblivion pushed it to second place. The number 1 choice was easy. Portal really symbolizes the perfect game. It is a marriage of game-play and story telling not found often in games and the voice acting in this game really puts the cream on top. The game follows Chell, a test subject of Aperture Science, as she makes her way through test chambers taunted by the AI persona named GLaDOS. Just before Chell is terminated as a test subject, she escapes and tries to escape Aperture Science. Unknowingly, she comes to the chamber where GLaDOS is being housed. Here she enters a battle with GLaDOS destroying her. The game-play is incredibly simple. All you get is an apparatus (The Portal Gun) which shoots holes which can stick to certain surfaces. GLaDOS's remarks throughout the game make for some great giggles as you are trying to figure out how to get to the exit. The final boss battle is very interesting because you have to use GLaDOS's weapons against her. The fact that Portal has a new, but great game-play, with a brilliant story puts it on top of my list.